You may or may not have noticed our very fancy special feature on this website through which you can suggest some of your favorite funny names for us to cover. This one right here. See? Super fancy. 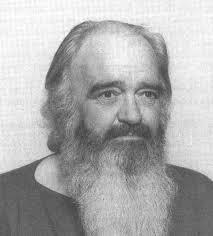 Stafford Beer and his beard, Stafford Beard. Well, we’ve been getting some good suggestions trickling in, including one from well-named reader Tillman Apuleico, who pointed us to the direction of noted academic Stafford Beer. Now that’s the kind of directional pointing we greatly appreciate here at the Blog of Funny Names, and reward with a solid namedrop in the second paragraph of a standard post. Good find there, Mr./Mrs/Ms./Sir/Dame Apuleico. Who is Stafford Beer? Why he’s only a leading theorists in the field of operational research and the founder of management cybernetics, that’s who! What are those things? Oh, I’m not sure. I think I need to consult with some operational researchers to figure it out. His work largely consisted of working for arms of companies that were adorned with lovely acronyms like CORFO and SIGMA, and did significant work in several South American countries aiming to “maximize production while lowering management and preserving worker autonomy”. Which sounds nice. This is management cybernetics. See? I told you it was simple as pie. Shame it’s not in a pie chart form. In the 1970s, delightfully, Dr. Beer decided to renounce all material possessions and moved to Wales, living an austere lifestyle with his massive beard. He kept up with his research and work though, and eventually adopted a second home in Toronto, Canada, bringing his beard along for the Canadian experience as well. During this time he also developed a strong interest in the arts, and particularly poetry, publishing a collection of his poems under the title Transit 1977. In his personal life, he had five sons and three daughters, one of whom, and I’m not making this up, is renowned artist Vanilla Beer. Yum. There is a further connection to the Funny Names Blog’s sphere of interest in Dr. Beer’s life, as his work in cybernetics was broadly influenced by the work of one Norbert Wiener, whom I “hilariously” profiled here. So that’s who Staffod Beer was. I hope we’ve all learned something today, anything at all really, and can now move forward with a positive mindset for what tomorrow might teach us. Onward ahoy! This entry was posted in Uncategorized and tagged cybernetics, facial hair, funny, funny names, humor, management. Bookmark the permalink. Canada . . . poetry . . . beards . 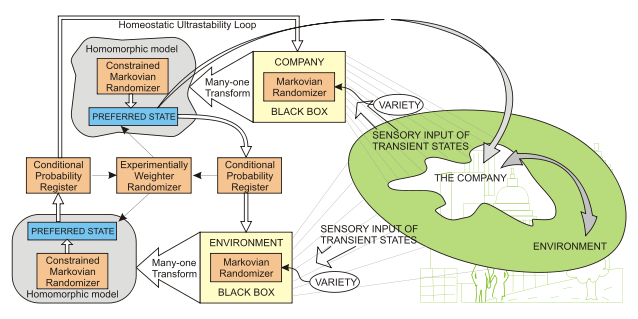 . . It’s all kind of coming together for me like a Many-One Transform through a Markovian Randomizing Black Box in a Homeostatic Ultrastability Loop. And that’s not something you see every day! I don’t recall seeing one of those in at least three weeks, so yeah! Big coming together there! A cybernetic beard and a Toronto shout out?! Yes, please. Nothing not to like there, eh? Got to love someone who named their child, Vanilla. I agree. Vanilla Beer just rolls off the tongue very pleasantly. Did he drink Falstaff Beer? I’ve been unable to confirm this with actual facts, so I will just follow the lead of cable news and confirm that unconfirmed reports suggests this is definitely the case. Vanilla Beer is just the best name ever. Though Apple Beer and Berry Beer would be sweet, too. Love that you’re taking requests, Arto! Also accepting requests for karaoke night performances and what kind of cake I should get myself for my birthday. Thanks Liz! I think the cake choice is obvious here, Arto: http://wp.me/p2dvv9-Y1 second to last and last photos. Recipe link is in there somewhere should you really want to try it. It’s a great cake. Especially if you first roast the browned bananas with rum as described in the first part of the blog. Haha, bananas it is! For both karaoke and cake. His children in his public life were flowcharts and poetry books!